Cristiano Ronaldo may appear on the surface to be an uninspiring and uninteresting subject for a documentary. After all, despite being one of, if not the best footballers in the world, he is a preening, arrogant superstar more interested in his image and individual glory more than anything else. However, Anthony Wonke and Asif Kapadia, the team behind the documentaries on the late Formula 1 driver Aryten Senna and singer Amy Winehouse have managed to produce a film that gives an insight into the person as well as the player. The central themes are his rivalry with Lionel Messi, his desire to be the very best player he can be and his relationship with his family; especially his son. Without giving too much away, it is his family life and learning about where he came from – a relatively less well-off life in Madeira – that provides the most interest, especially as a football fan. The major difference between this and Wonke and Kapadia’s previous work is that the subject, Ronaldo, is alive and well and probably had some say over what could go in to the final cut. Whereas Senna and Winehouse were long dead when their life stories were told by the duo. Ronaldo himself is very divisive. In this and subsequent interviews given around the release of this film he comes across as both very arrogant and very humble. He knows how attractive he is, how good he is at football and how loved he is and he loves to let people know as well. But also he comes across as an excellent father (to a son he named after himself), a loving son and sibling and somebody who can talk openly and honestly about his strained relationship with his now deceased father and the fact that he does not drink because if his dad’s alcoholism. Perhaps the one thing it doesn’t make much of is his charity work, how much he does for various charities in terms of both work and donations, and that he does not have any tattoos so he can continue to give blood a number of times a year. Although including this may have made the documentary come across as sycophantic, too heavily influenced by the player himself and more of a publicity piece than an insight in to the man. There are better sports documentaries out there; most of ESPN’s 30 for 30 series and Senna to name a few. But this is worth a watch, especially for fans of the beautiful game. If you are a football fan, you might not take anything away from this. You may know enough about the Portugal international already, or your allegiances to certain clubs and nations may have already given you an unwavering opinion on the man. However, if you do not know much about football, or much about Ronaldo the person, you may just learn that the way he comes across on the pitch and off the pitch are very different. 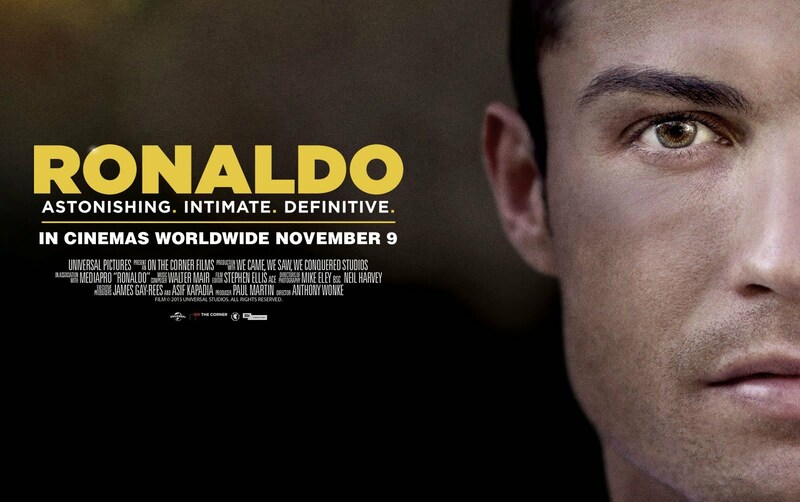 Ronaldo is in cinemas across the UK right now. Check out the trailer below.